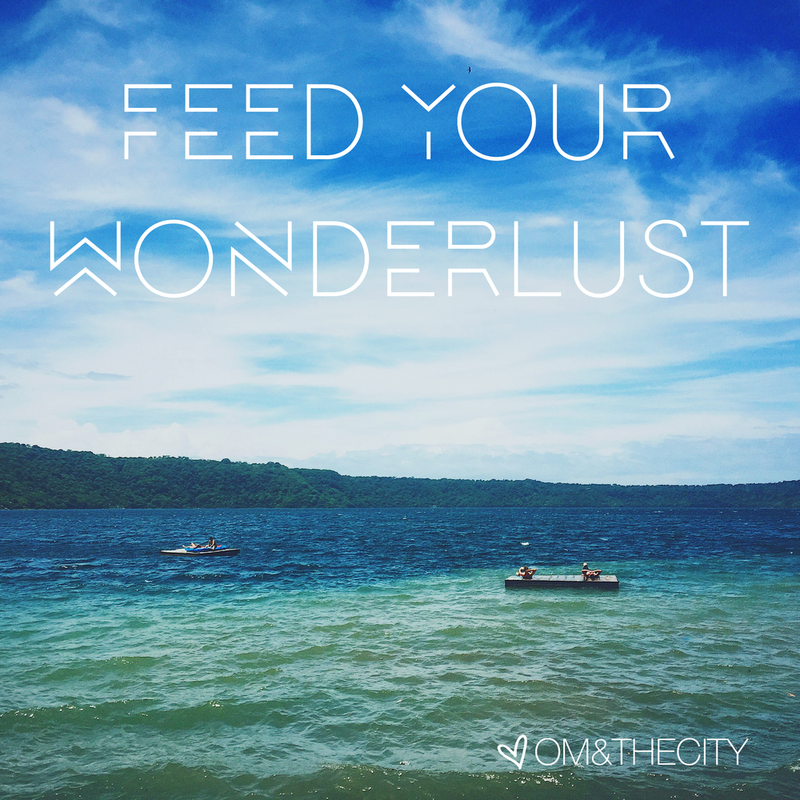 Every few months, I experience strong symptoms of wonderlust. It's an ongoing cycle where I start to get VERY antsy - antsy to travel, to explore, to just book a plane ticket and go SOMEWHERE. It has been seven months since I last left the country, and I made a promise to myself in November of 2014 that I would do everything in my power to travel outside of the country at least twice a year. So far, I've held up my end of the bargain. Next stop: Ecuador! Everyone has different priorities and goals in life, which makes the world diverse and full of endless possibilities. If you're reading my blog, you are probably quite similar to me in the fact that traveling is very important to you. Summer is rolling around (I hope? ), and you might also be feeling the itch to explore. Yes? Thought so. I am here today to encourage you to go ahead and book that ticket, despite how impossible it might seem at the moment. We can always find reasons why booking that trip over the border isn't going to work out. Money is tight. There's no time. I have no one to travel with. I don't know if it's safe. Let me help you overcome these roadblocks. Keep reading below. Download the saavy money-saving app Qapitol. I started this in February, and since then I've managed to save $600 without even realizing it. You can create rules that will put money away every time you use the card linked to the app. For example, I set a rule that rounds up to the nearest $2 for every purchase I make with my debit card, and the difference goes into my Qapitol Savings Account. It's a sneaky way to save money without a thought. I still regularly put money in my actual savings, but this is a nice side "wallet" to set up and forget about until you need it. Finding the time // When I book these trips, I try to combine it with a holiday when I'm already off work. This way, I am only taking a few days off rather than using too many vacation days. Just make sure to book it in advance before the prices skyrocket. *Pro-Tip: Look at flight prices in the "incognito window" on Chrome or "private window" in Safari - this way, your computer won't store cookies and jack up the airfare while you're researching. Need a travel buddy? // Check out the site Thelma & Louise. When I was looking to do some extended travel, I had a difficult time finding a friend that was available to go with me. This site lets you make a profile with your interests/destinations of choice, and helps you find fellow travelers you can start your journey with! Is my destination safe? // Always make sure to do your research before you book your trip. Some countries are undergoing economic turmoil, drug-related issues, and unfortunately, terrorism. Just make sure to keep up with the news, and read recent reviews on Trip Advisor and Lonely Planet. There are countries that have a bad reputation from events that took place decades ago, so don't let that deter you from a potentially beautiful and worthwhile experience. You don't have to wait until all of the pieces fit together. Just go ahead and book it! You'll figure out the rest later. Go out, explore, grow, and get inspired. As the saying goes, "a life well-lived is a life well-traveled". Traveling feeds your creative soul, and ignites passion. It gives you a deeper appreciation for culture, history, art and language that can only be truly understood when fully immersed. Where do you dream of traveling? What steps are you taking to make it happen? Let me know in the comments below! If anyone has more travel tips, I'd love to hear. Before I sign off, I want to leave a fun travel video from my trip to Nicaragua last year. Hopefully it sparks an idea or two and gets you excited about planning your own adventures!